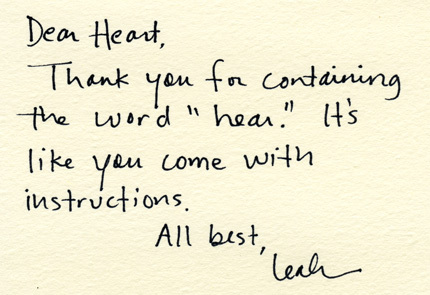 Oh Leah, thank you for these notes — quirky, tender, soft and sharp — reminding me of the little things that make life big. Thank you. It's Thankful Thursday, a weekly pause to appreciate people, places and things that bring joy. What are you thankful for today?